One of my penpals, Cath, is from the Netherlands. We “met” through the Letter Writers Alliance website when they posted about my volunteer role with Honor Flight Chicago. 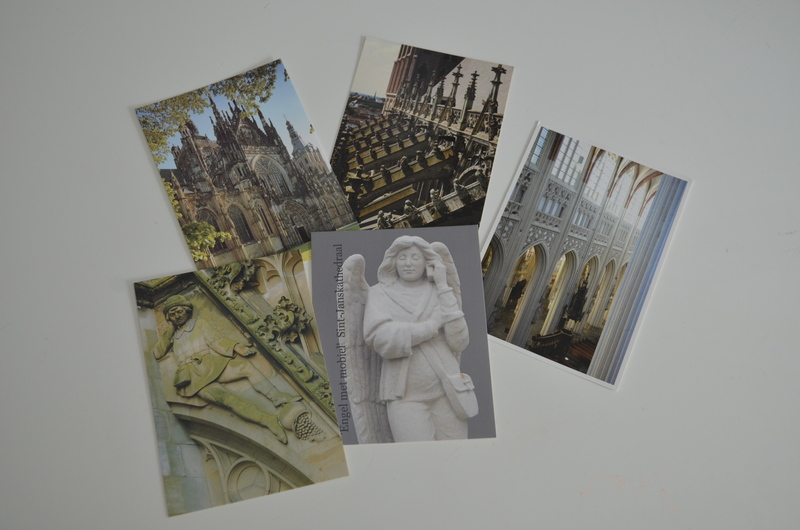 Cath sent some gorgeous postcards with beautiful notes for the World War II veterans. I was touched by her lovely words and I sent her an email to thank her for writing. We’ve been corresponding with each other ever since, and Cath has continued to write postcards for veterans this year. I have really enjoyed this postal series from Cath! I love this concept as a way to share communities and favorite places with pen pals. Thank you, Cath, for the glimpse at your hometown! 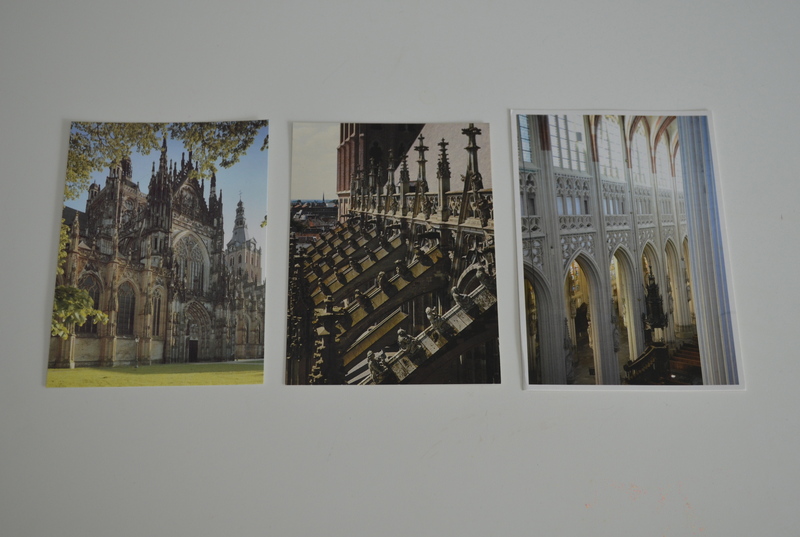 I placed the whole postcard series in the timecard holder on my desk so I can enjoy the lovely cathedral just a little bit longer. Can you feel the radiance of my smile? I loved preparing, picking and sending them, it was wonderful to find them so much appreciated by you, and to find the story here now is a very unexpected joy.